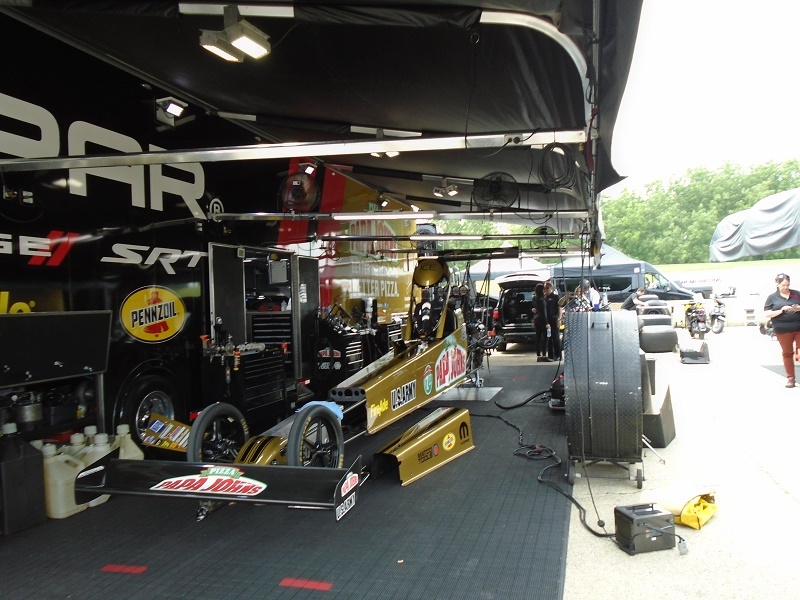 A bad day at an NHRA Mello Yellow Drag Racing Series event beats a good day doing most anything else. 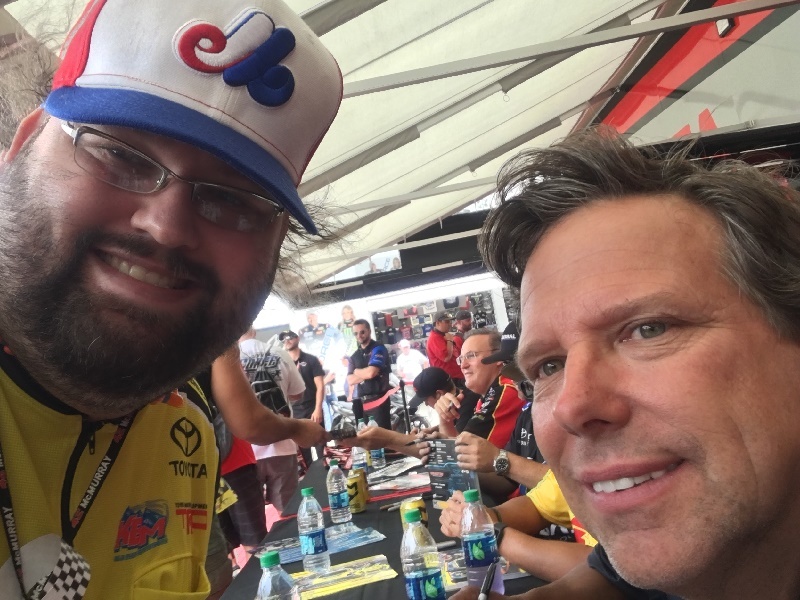 Fortunately, last Saturday was not a bad day at all. 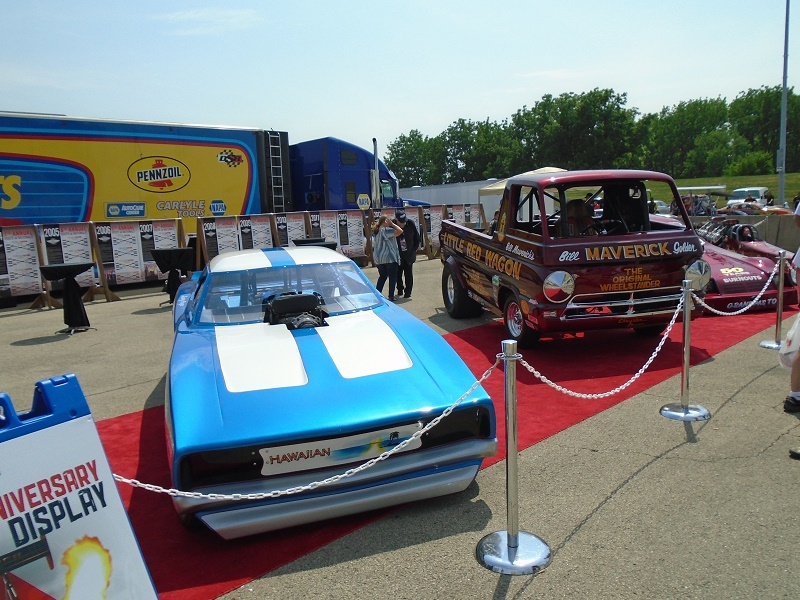 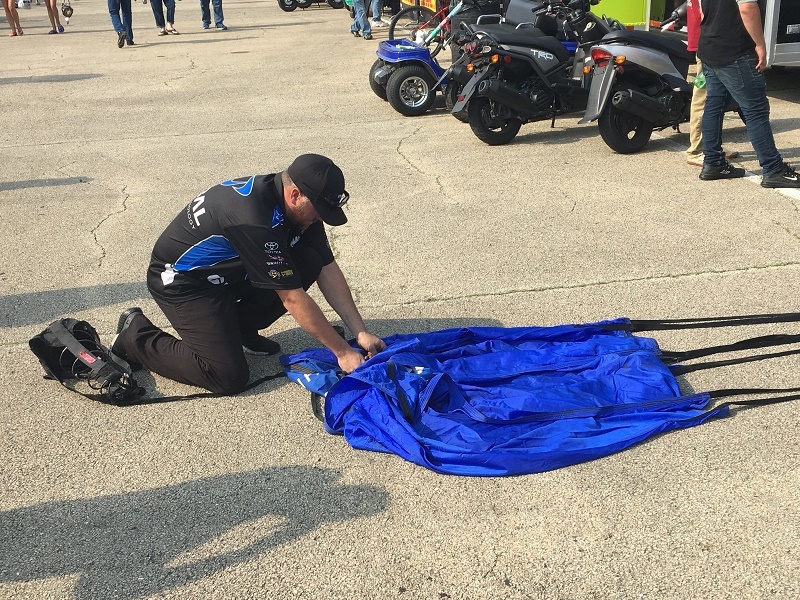 Since NASCAR has moved their Chicagoland event to July, the Route 66 Nationals were moved to the first weekend in June. 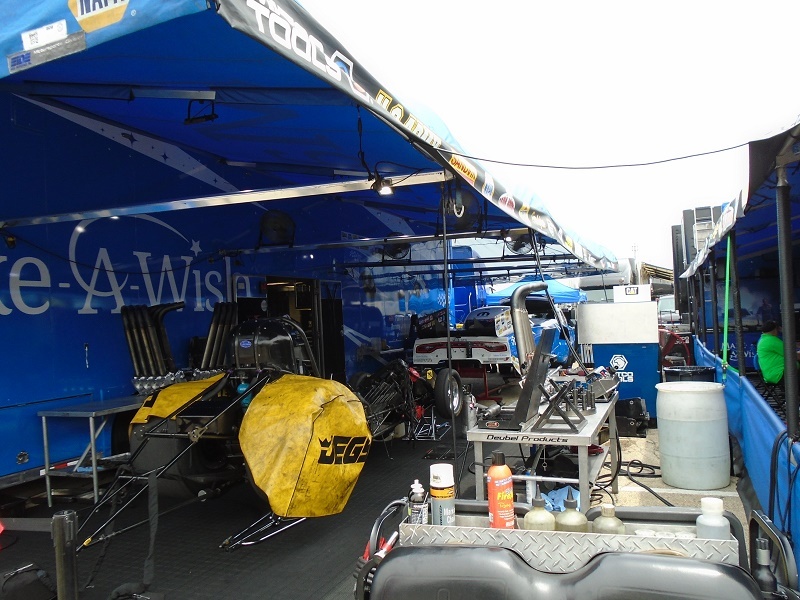 The weather was great, not too hot, and enough of a breeze. 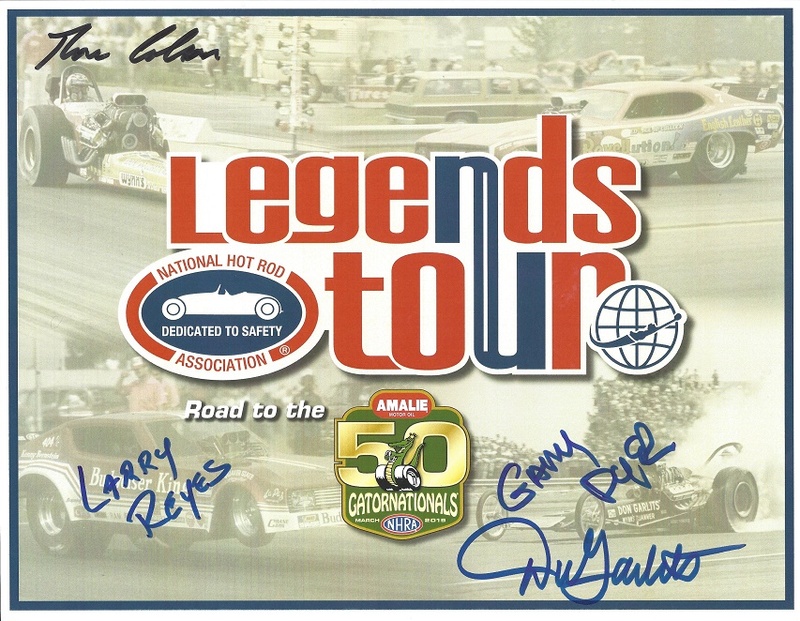 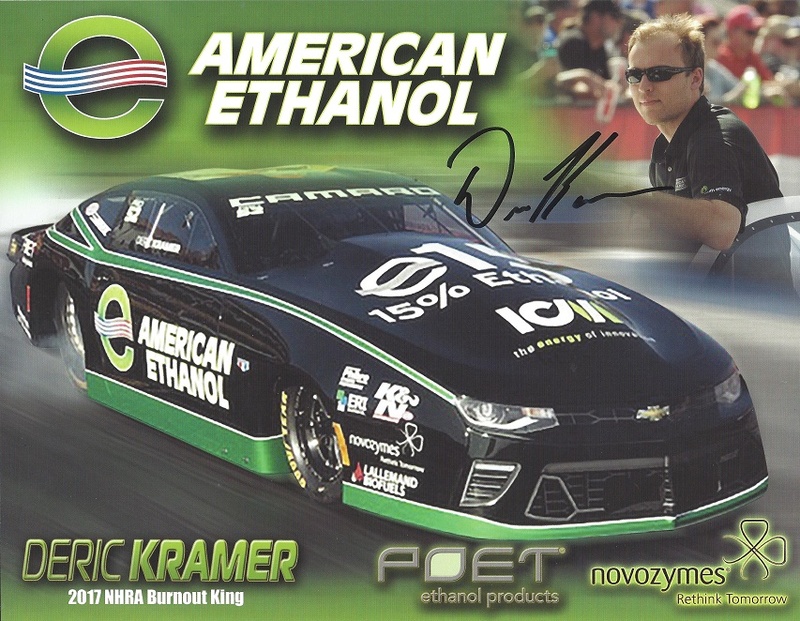 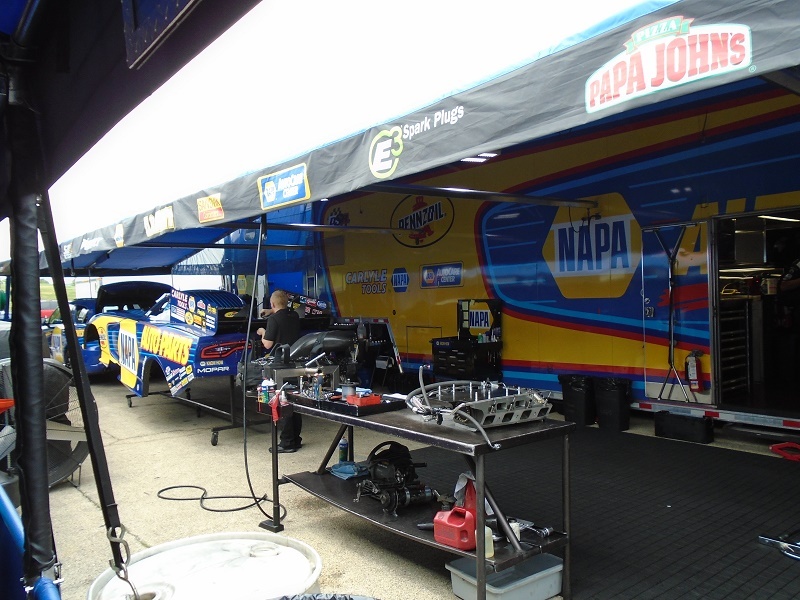 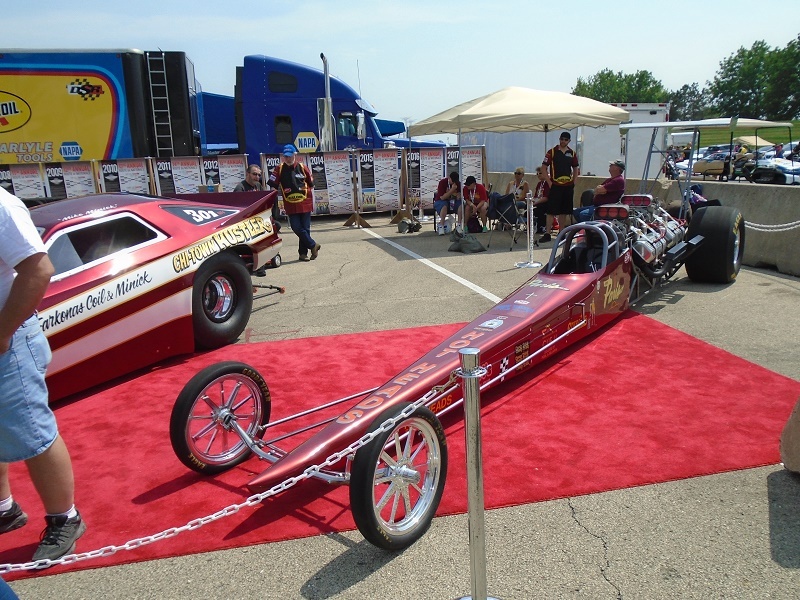 I love drag racing, and the Route 66 Nationals is the NHRA’s stop on the Mello Yello Drag Racing Series tour. 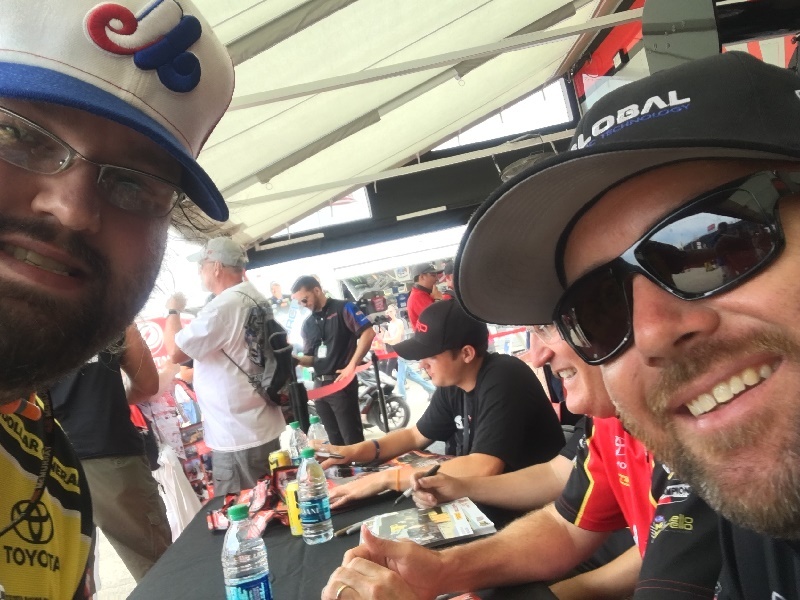 I go with friends from work, and every year, we have a great time. 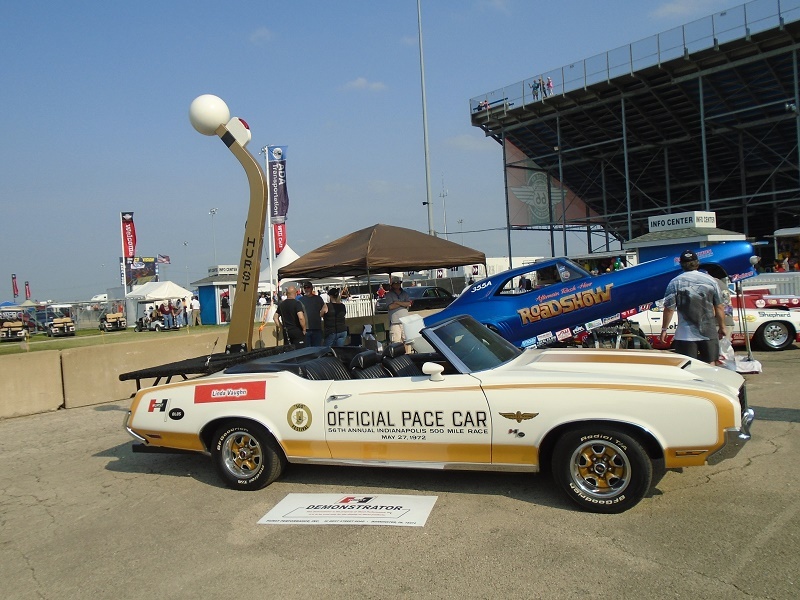 We arrived, and spent a lot of time wandering around the midway. 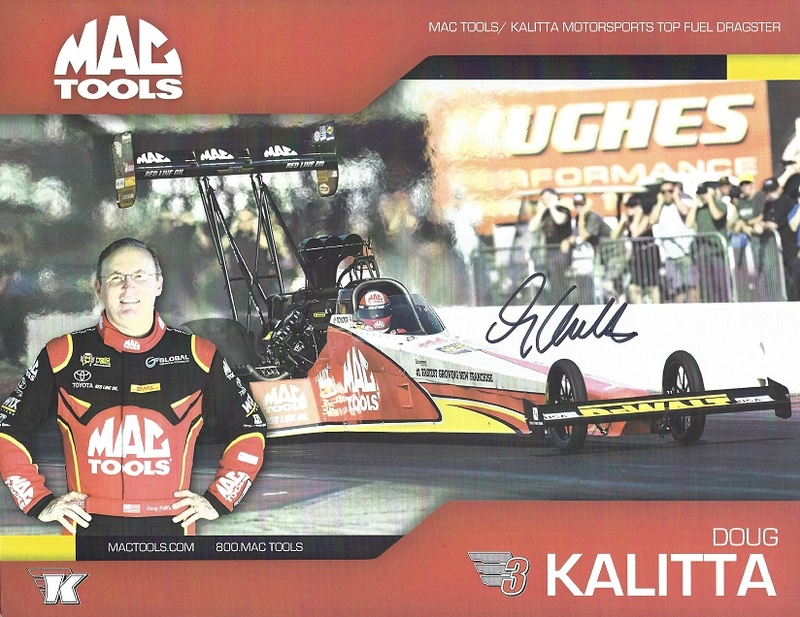 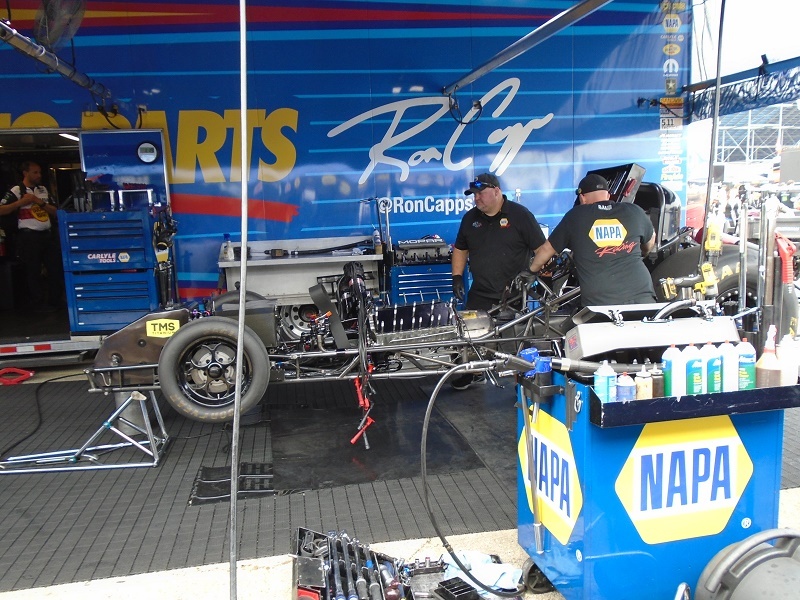 We picked up a number of hero cards, and watched the crews work on these 11,000 horsepower engines. 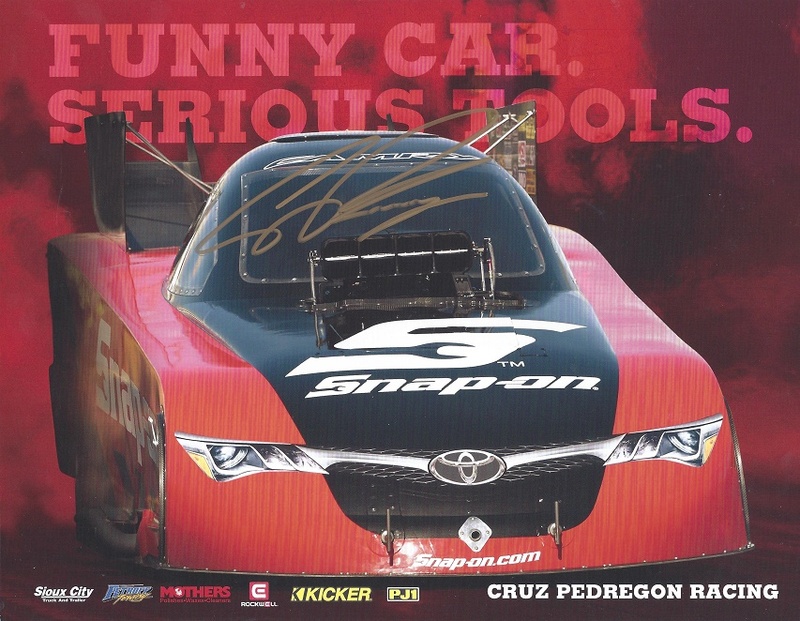 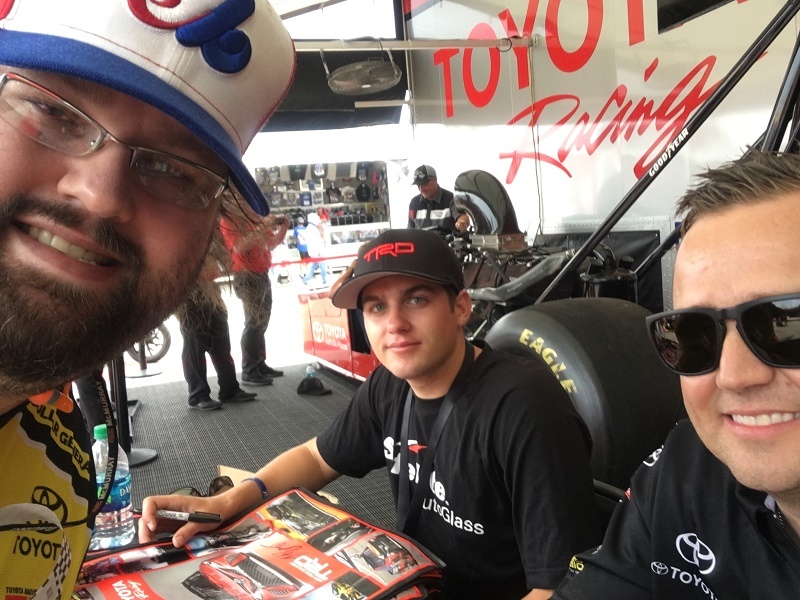 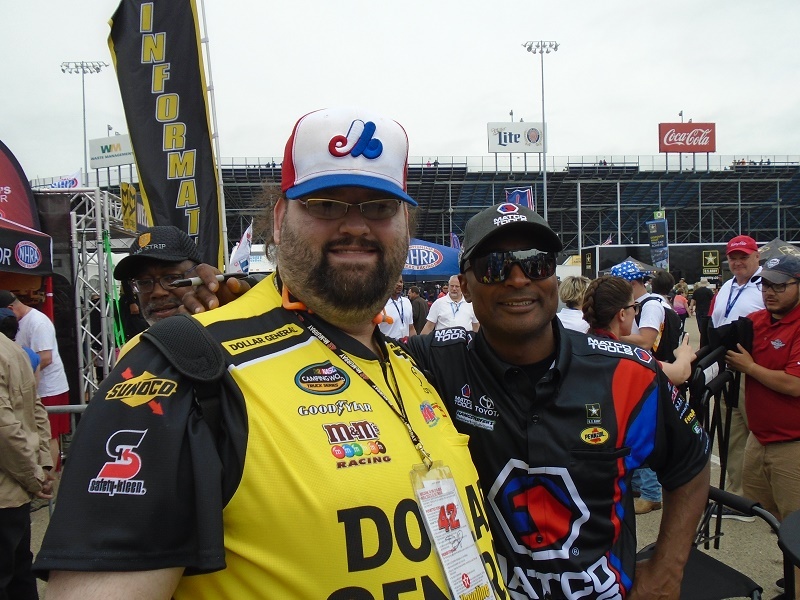 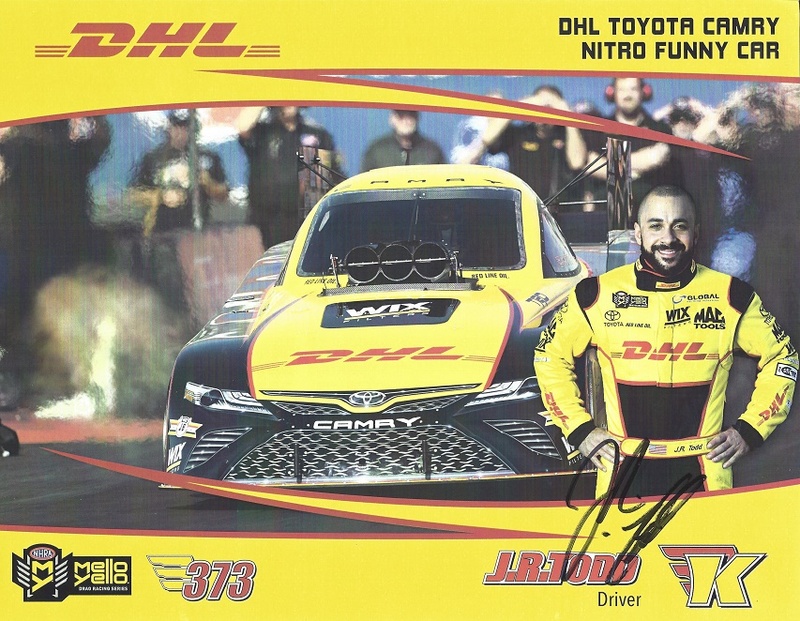 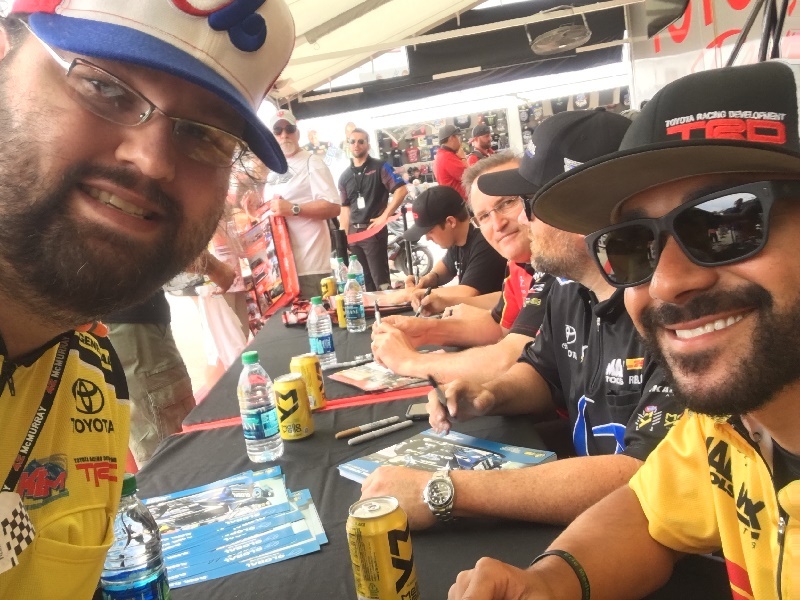 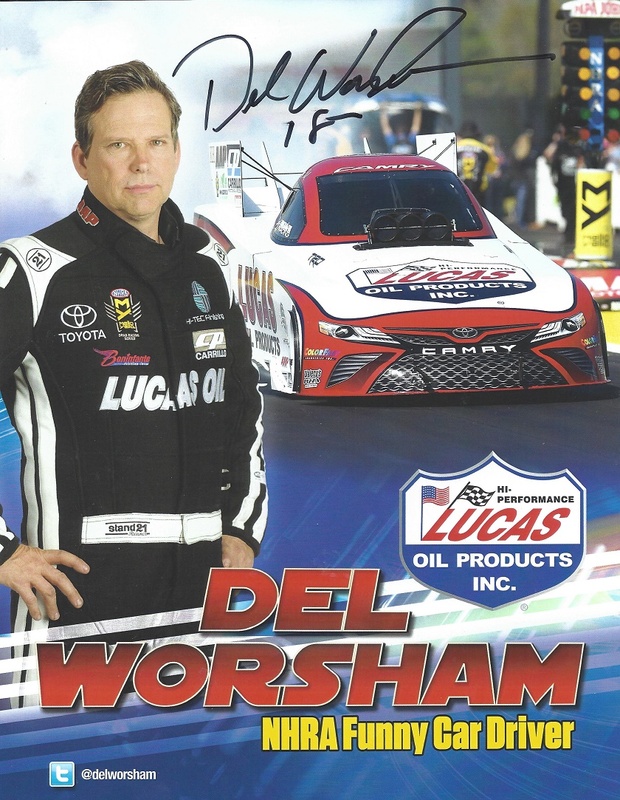 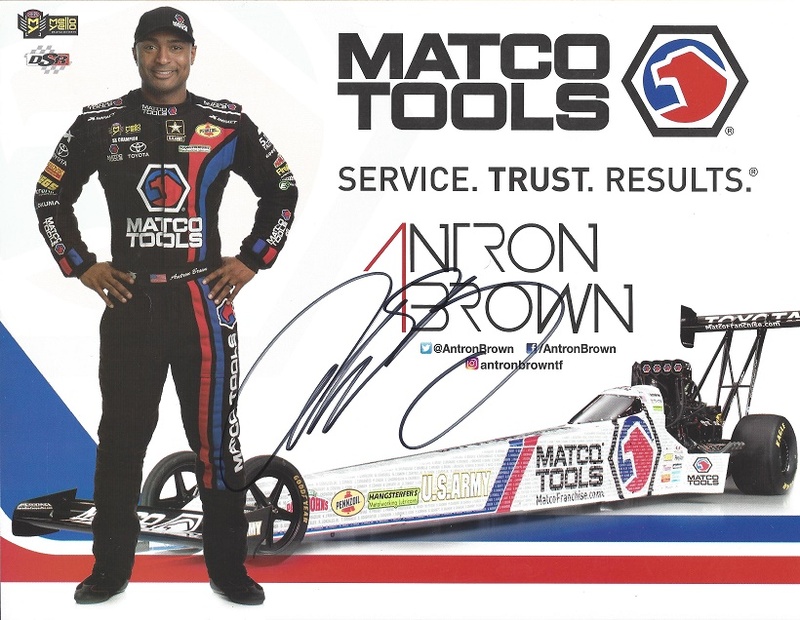 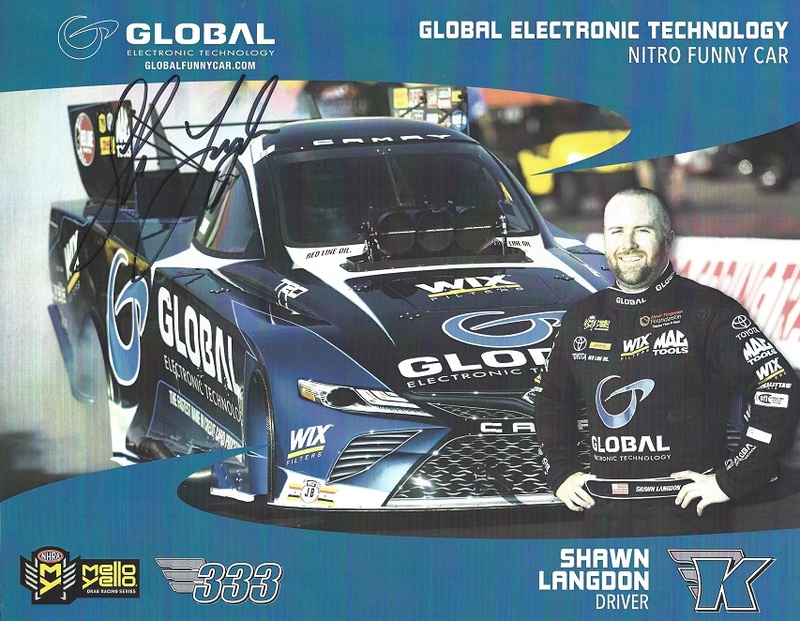 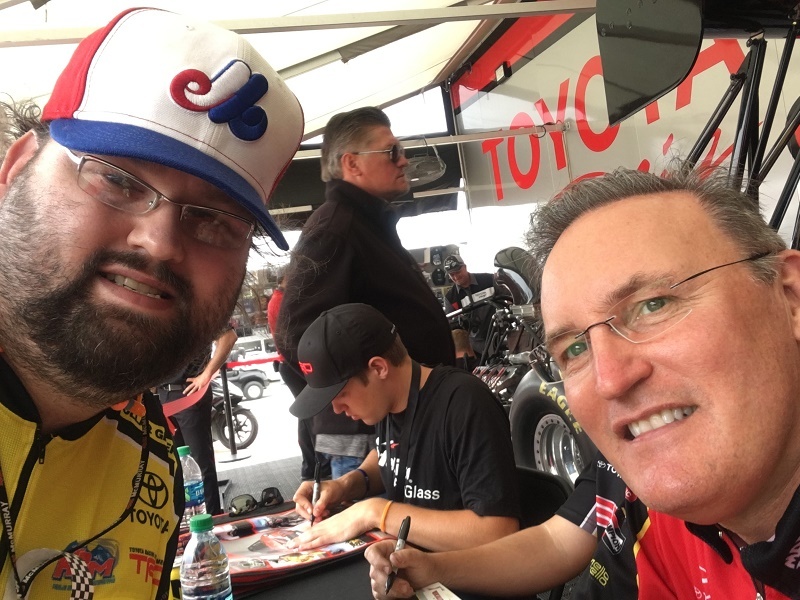 After a while, I got in line at the Toyota pavilion, and got autographs and selfies with Cruz Pedregon, Del Worsham, JR Todd, Shawn Langdon, Antron Brown, Doug Kalitta, Richie Crampton, and Noah Gragson. 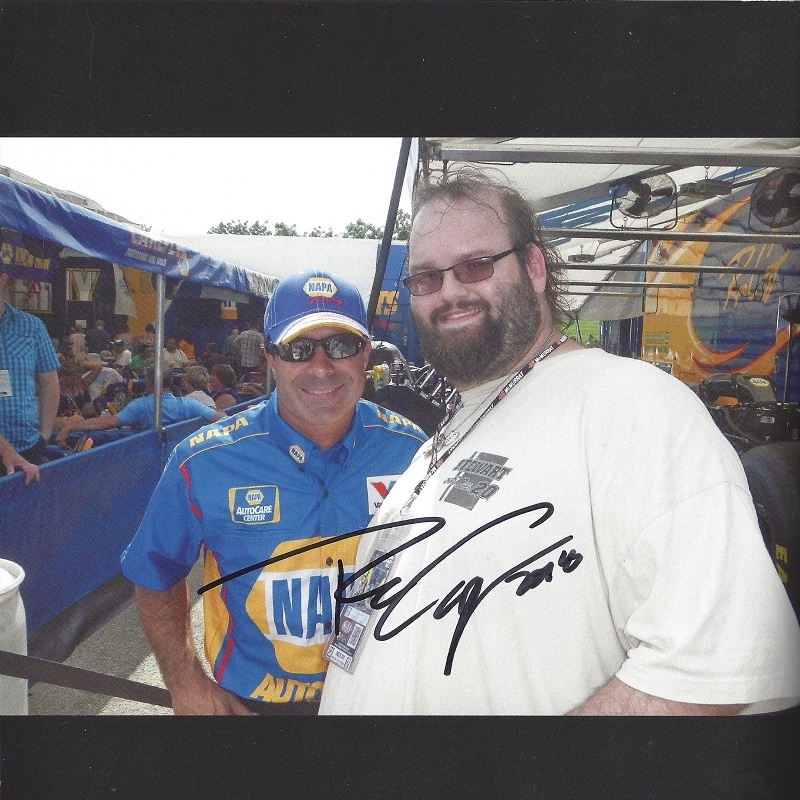 I then got in line for the Mello Yello autograph session, and got Deric Kramer, TJ Zizzo, Don Garlits, Barry Dyer, Larry Reyes, Jeg Coughlin Sr., and Ron Colson. 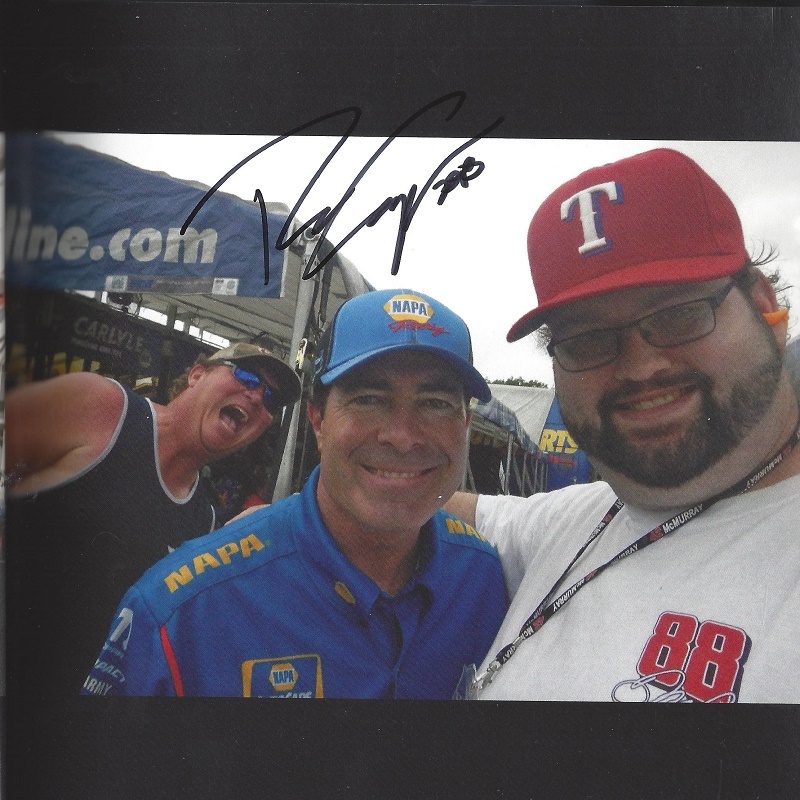 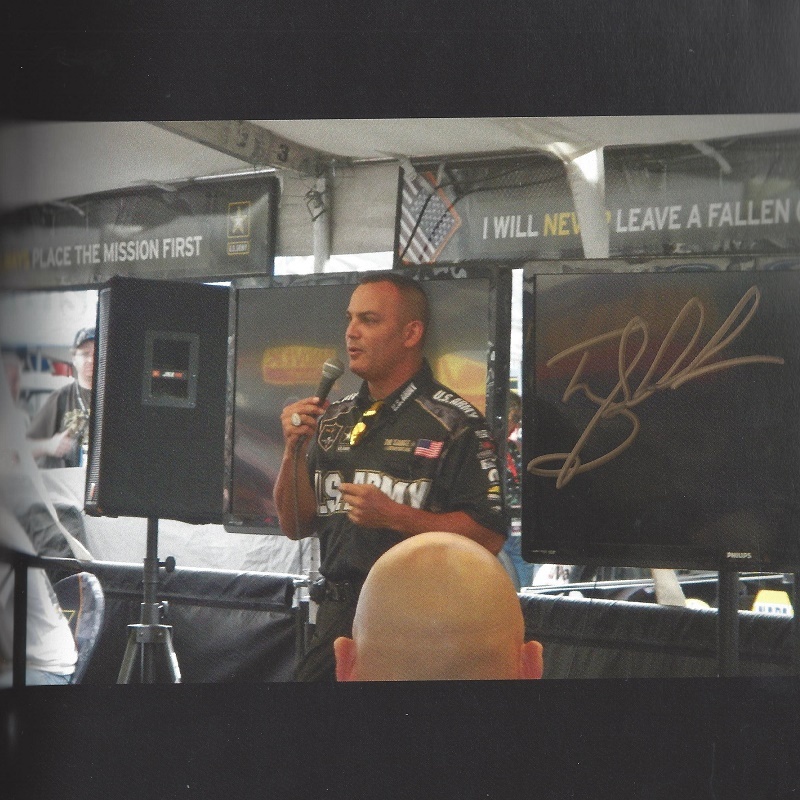 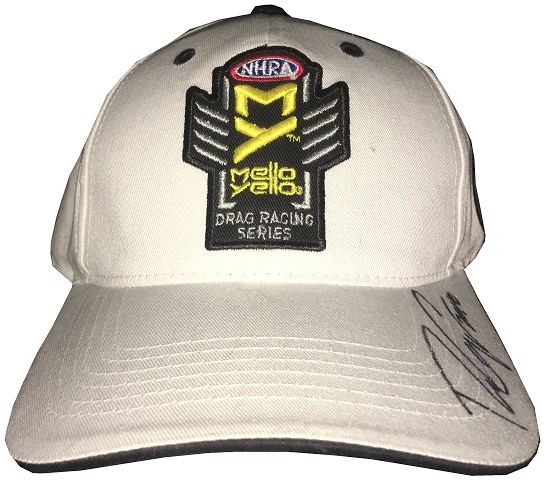 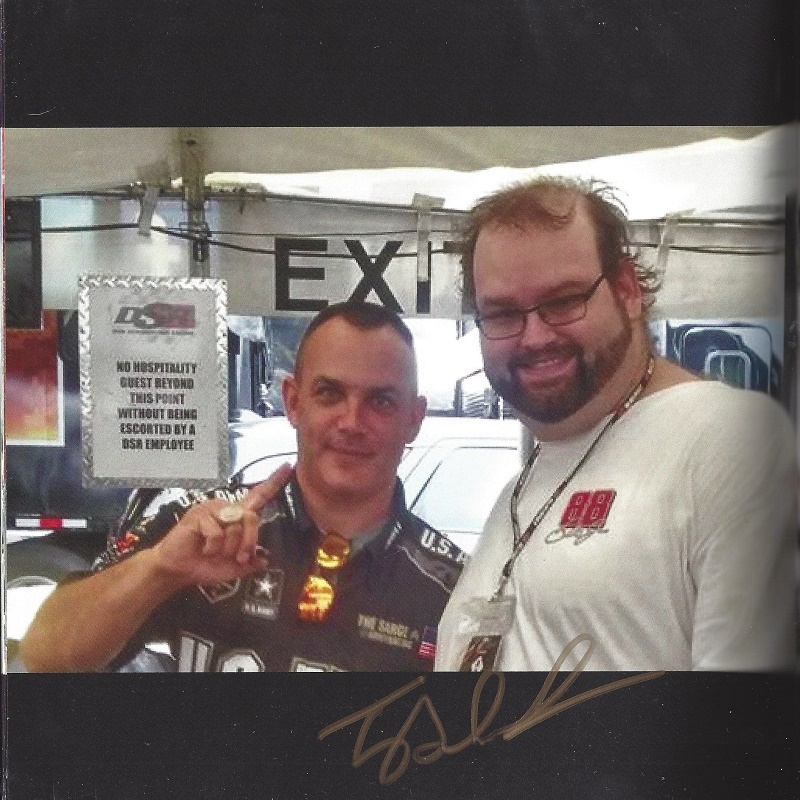 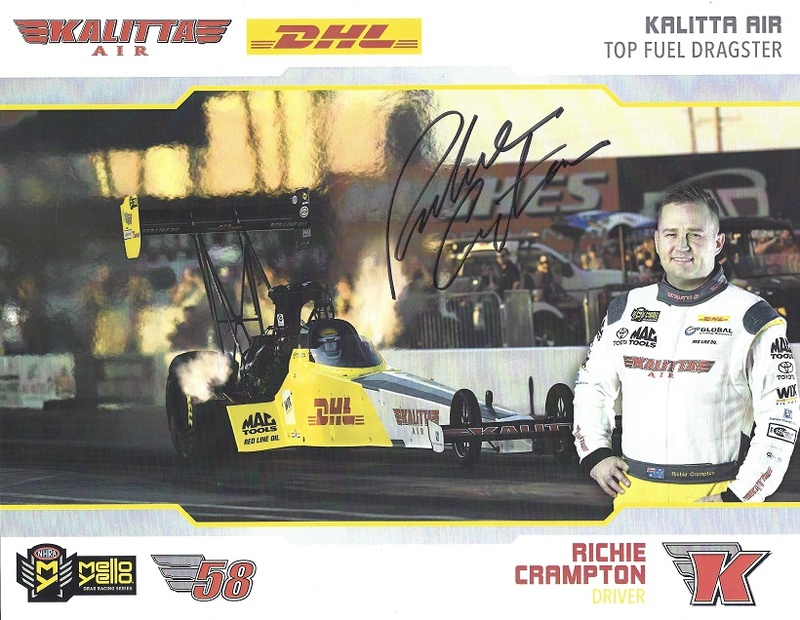 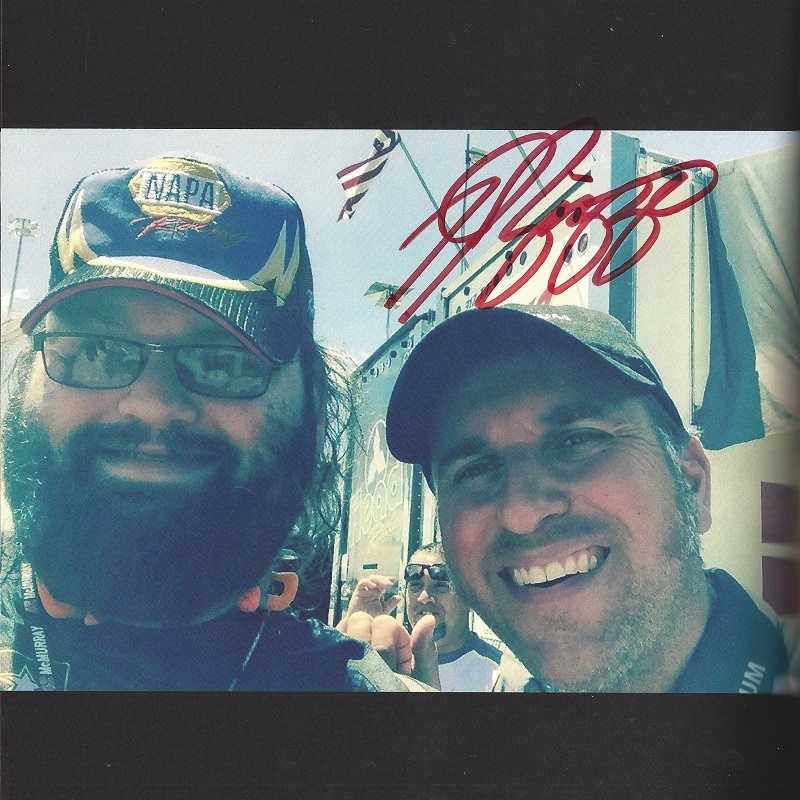 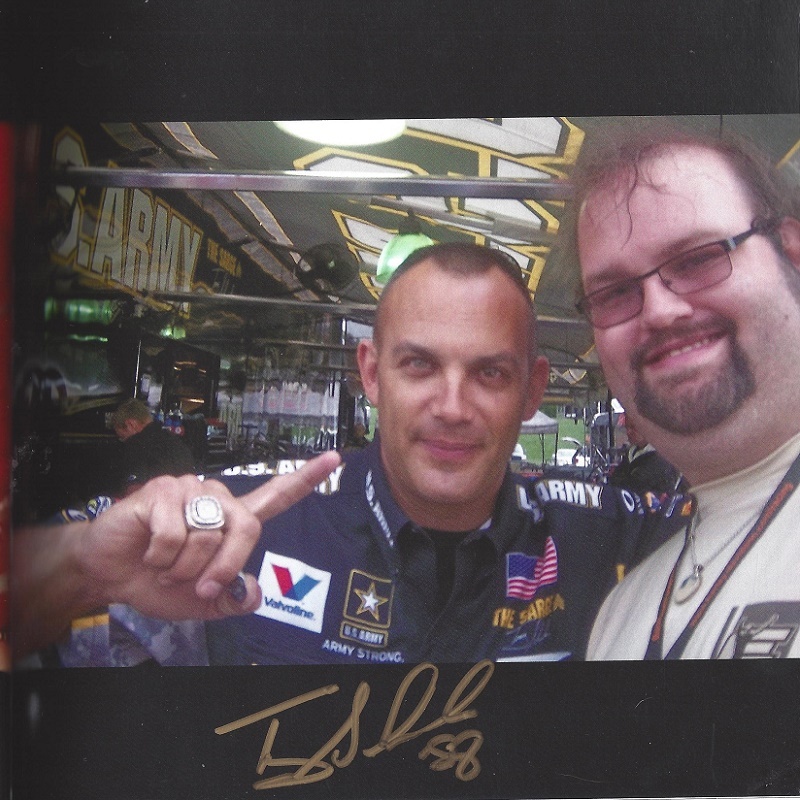 In walking around the pits, I also got Angie Smith to sign a hero card, Tony Schumacher to sign my book, and Ron Capps to sign my book and my championship hat. 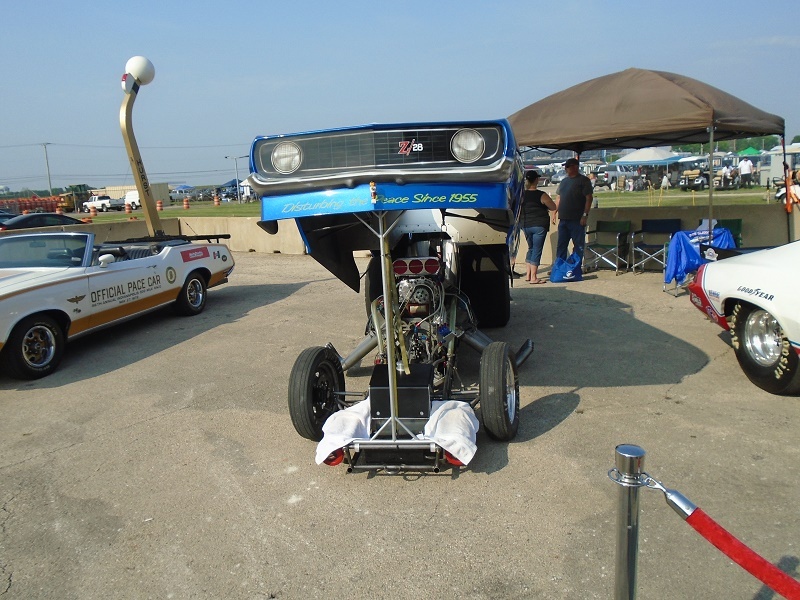 Once the professional categorizes got underway, the racing was great. 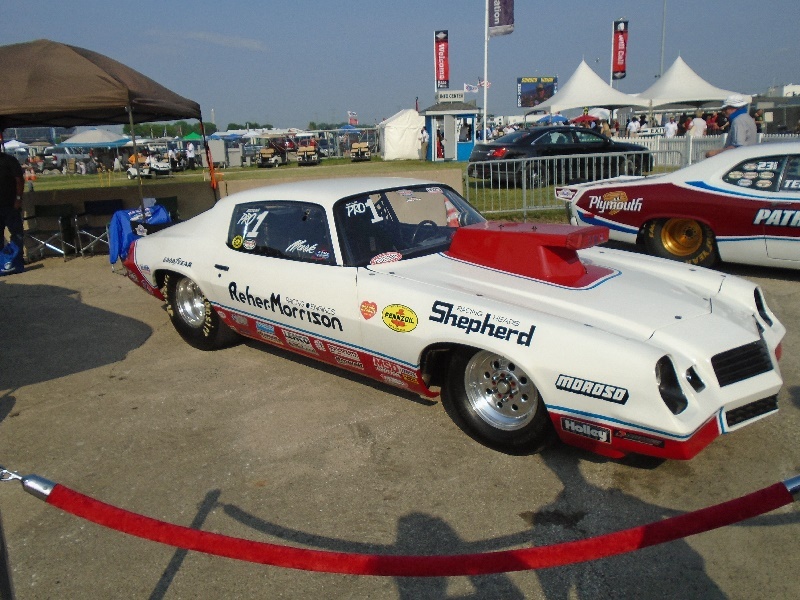 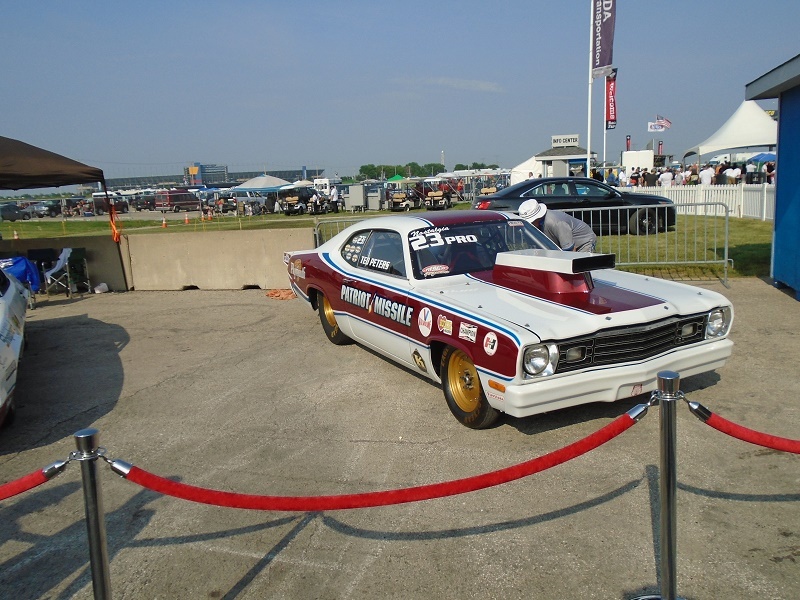 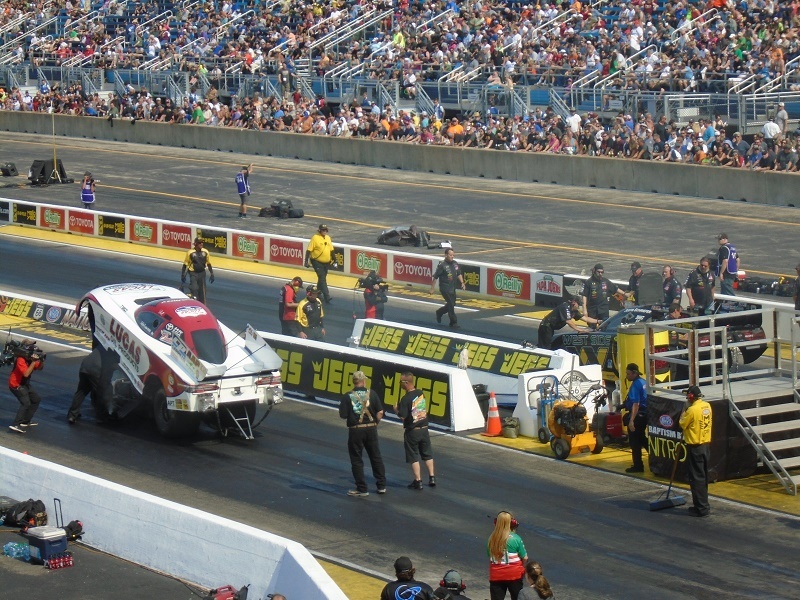 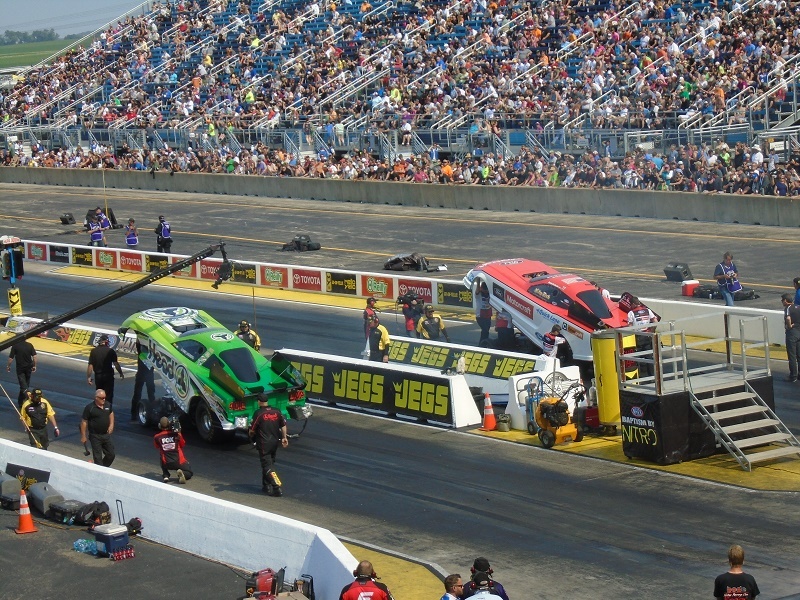 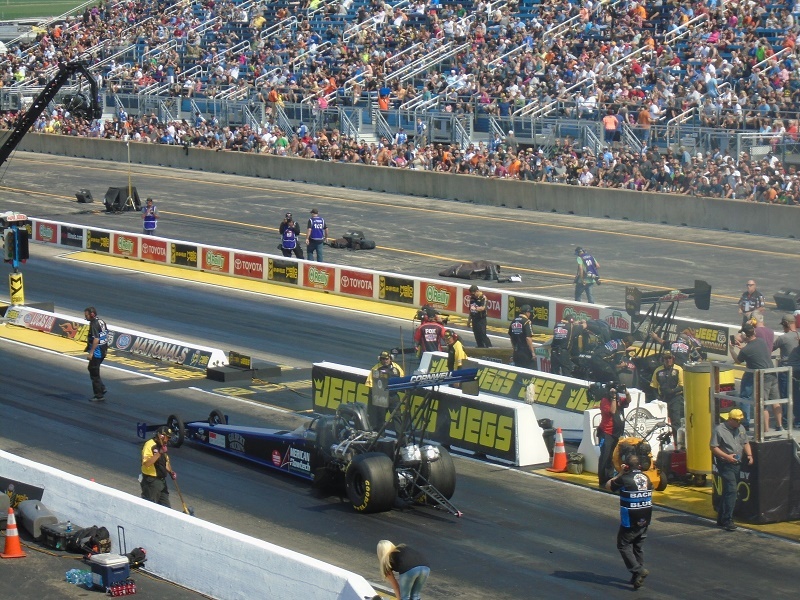 The roar of the engines and the scent of burnt rubber and nitromethane added to the allure of seeing some of the greatest drag racers on the planet. 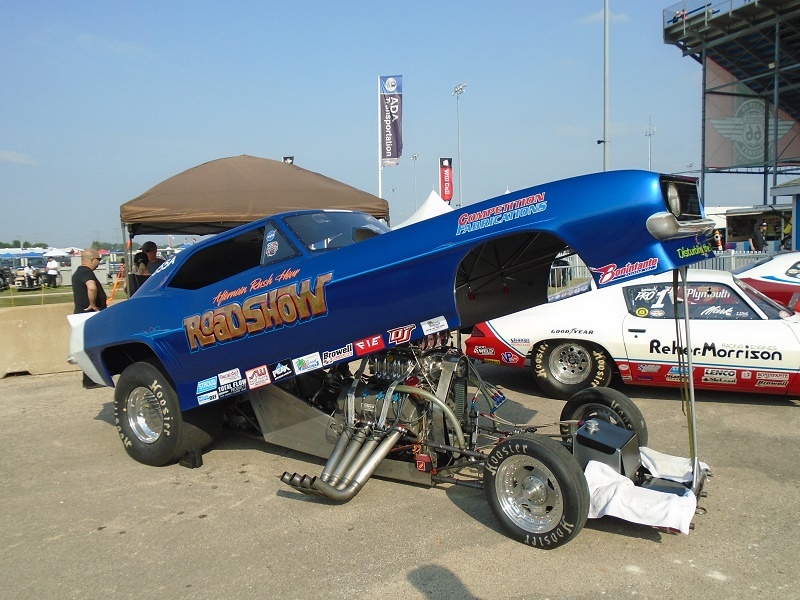 Enjoying a great Saturday watching drag racing is always fun. 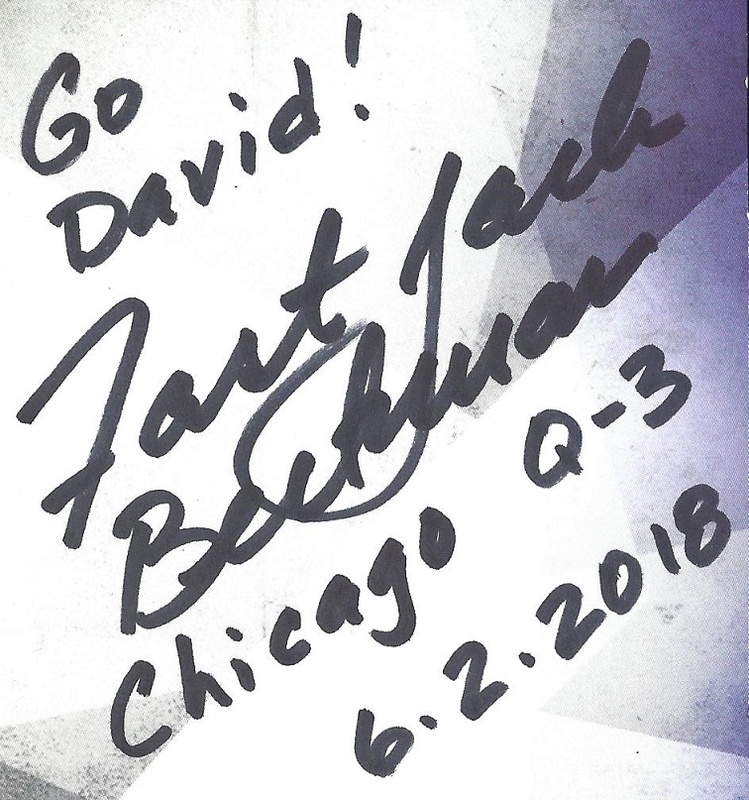 Also, since I have interviewed Jack Beckman, I purchased an Infinite Hero Challenge Coin. 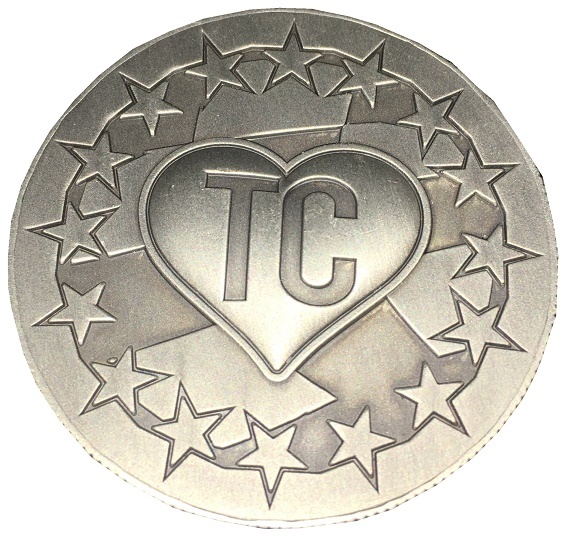 This year’s design is done in memory of the late Terry Chandler, who passed away from cancer prior to the 2017 event. 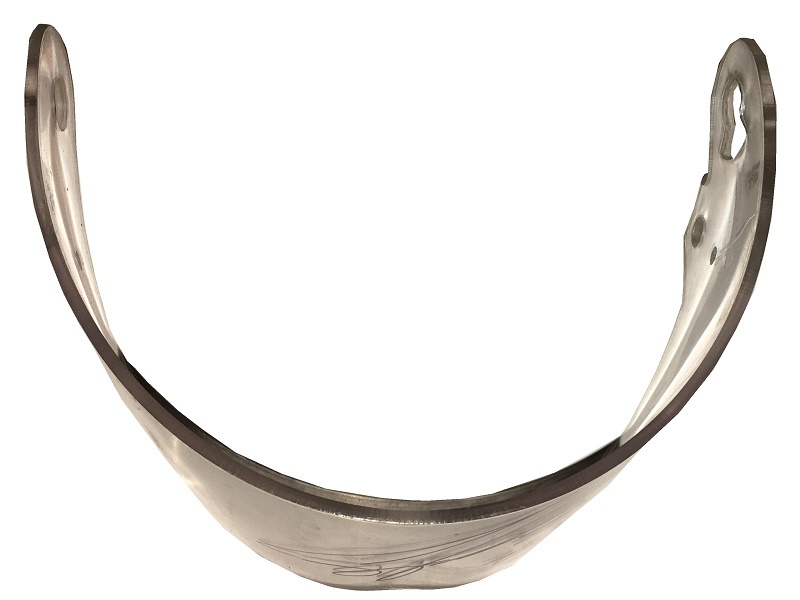 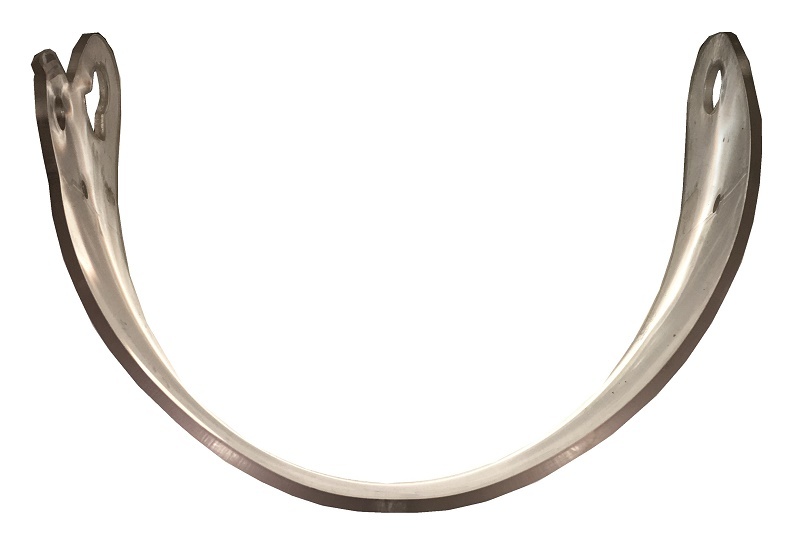 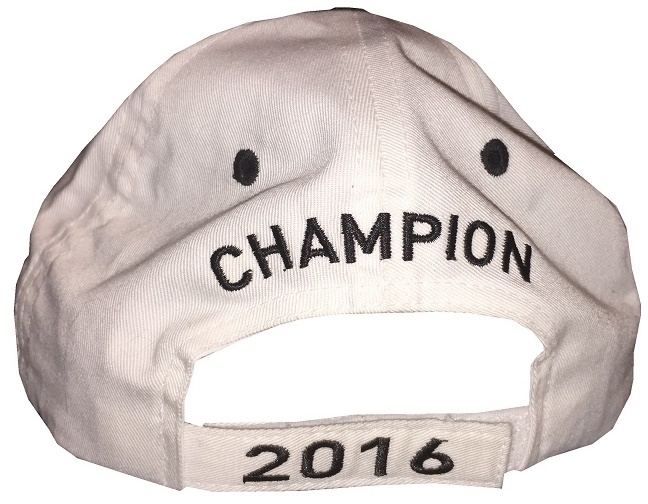 The front has a heart design with Chandler’s initials. 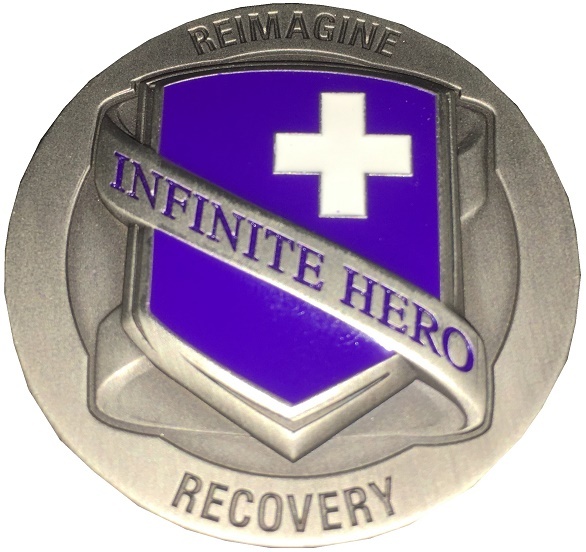 The back of the coin has the Infinite Hero logo, with blue enamel. 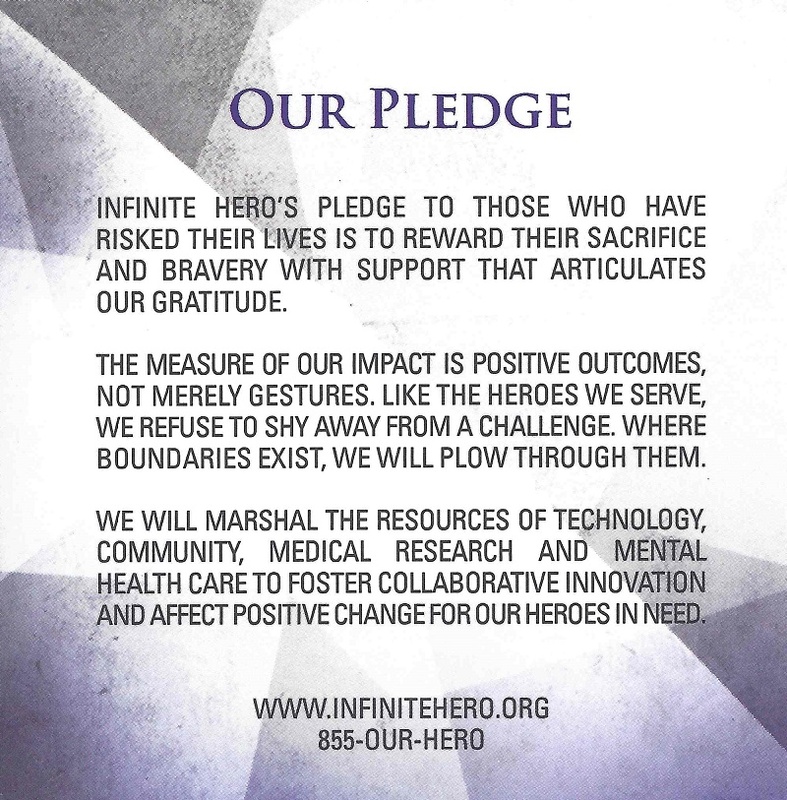 Jack also autographed a copy of the Infinite Hero pledge. 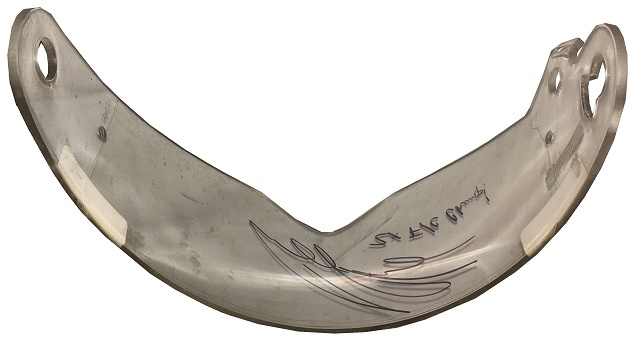 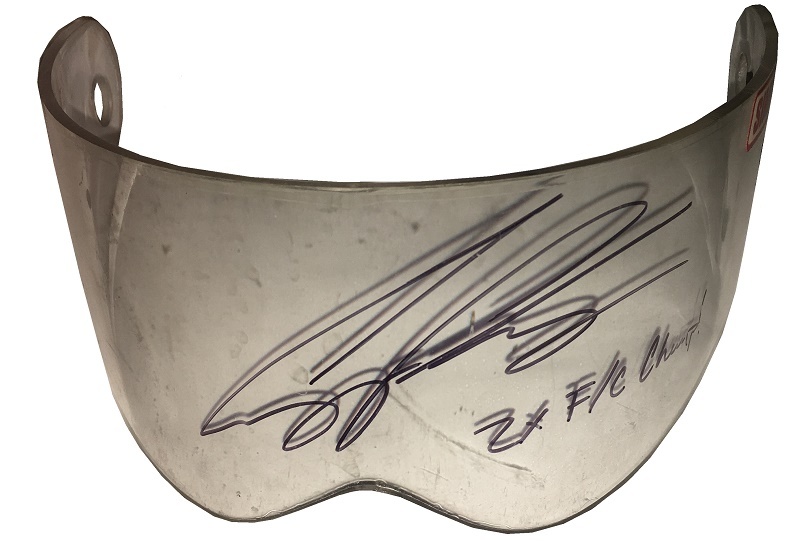 I also came across this Cruz Pedregon race-used visor. 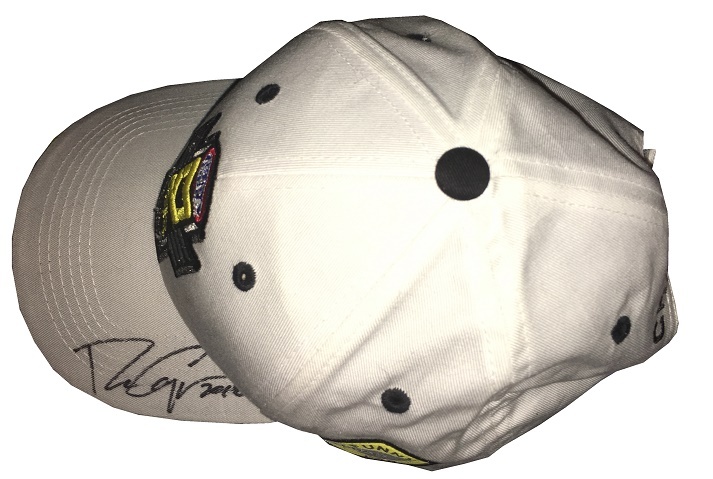 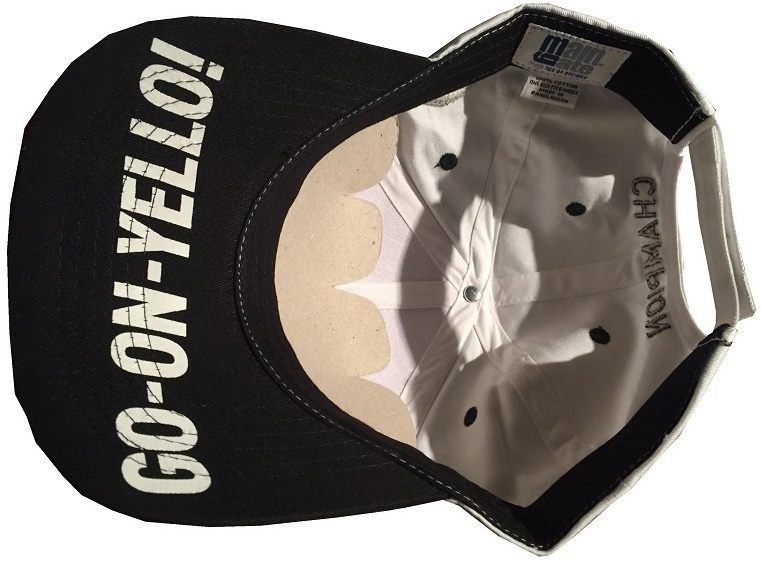 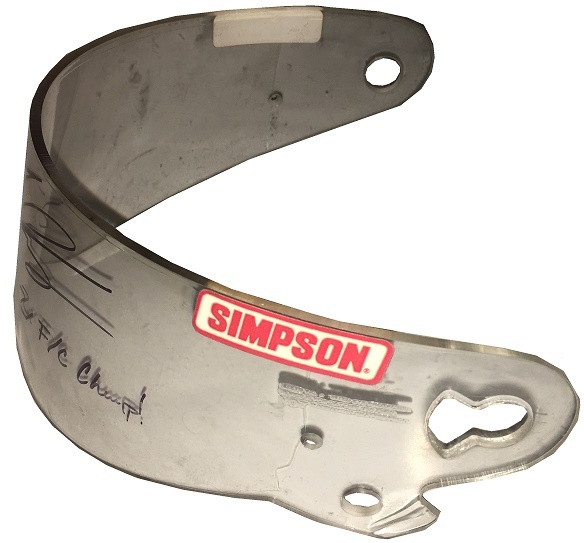 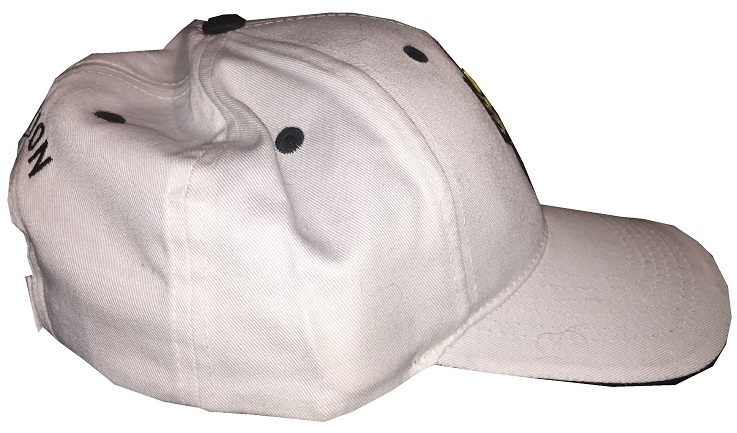 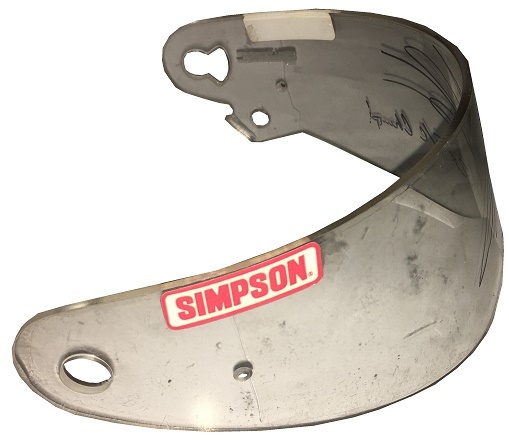 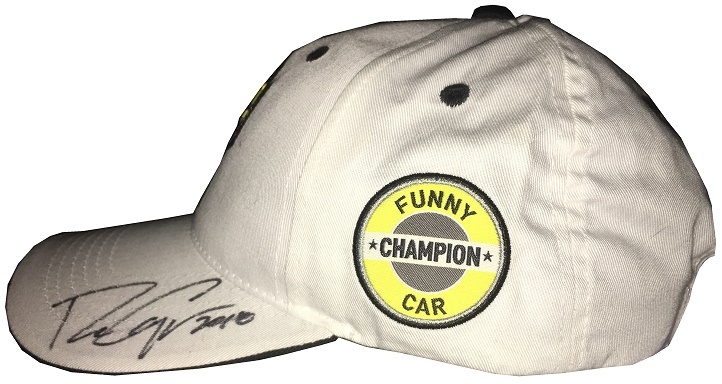 It’s a Simpson visor, which shows a number of scratches, and scuff marks, and Cruz has autographed the visor with the inscription “2X FC CHAMP!.” After getting my coin and my visor, we decided to head back home. 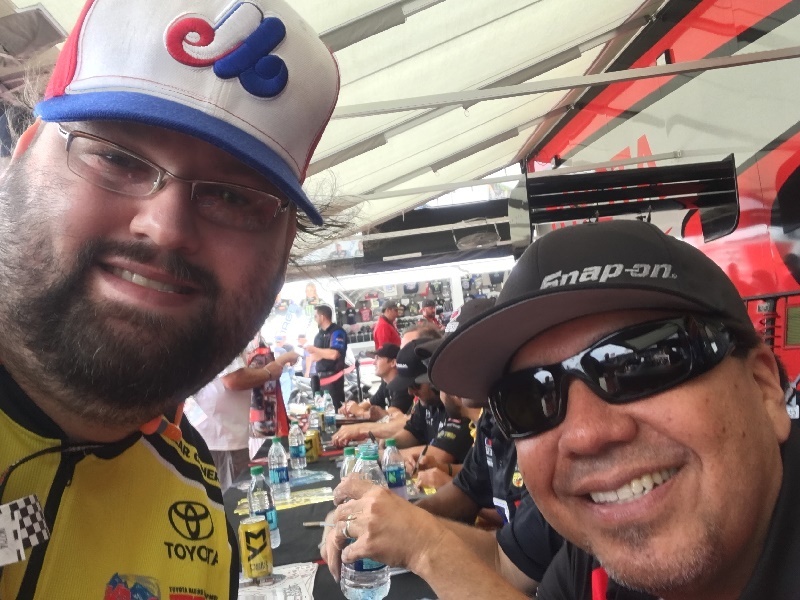 It was a great day, but then any day watching racing is a great day! 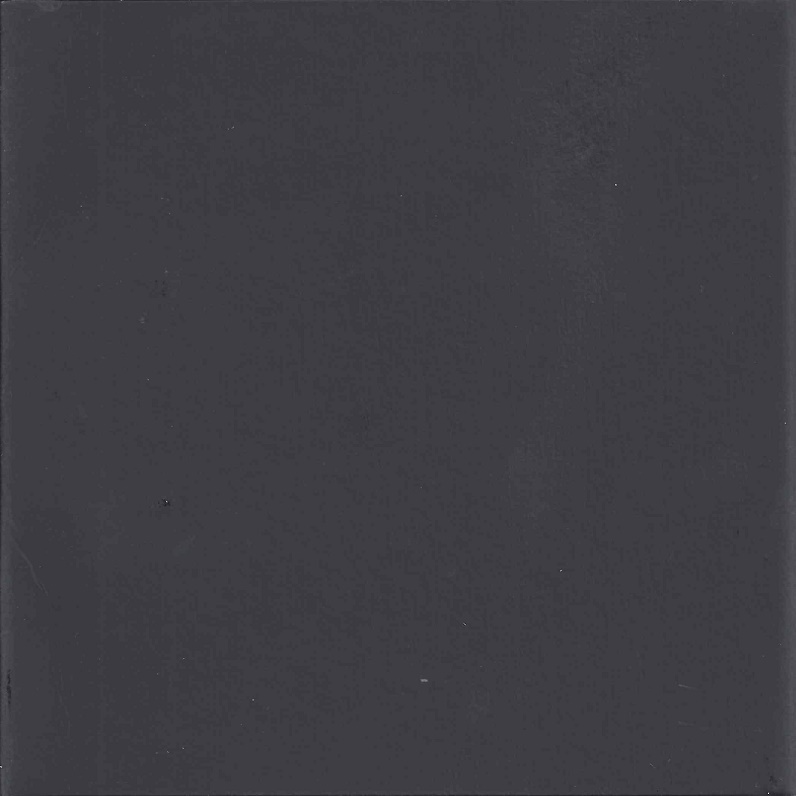 Next week, gonna go off-topic with something off beat.